Prof. Simoni was born in Pavia the 1944. He is graduated (BS) in Biological Sciences at the Faculty of Sciences of Pavia in 1969 and he is specialized in Human Cytogenetics, master obtained in 1979. 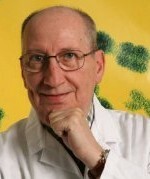 In 1975 he was awarded as Member of the “Comitato Direttivo del Gruppo di Lavoro in Citogenetica Medica” he has collaborated with the “Assessorato alla Sanità” of the Lombardia region on the plan for the improvement and the development of the Regional Centers for Medical Cytogenetics and Prenatal Diagosis. Professor Simoni has also optimized a world-wide accepted procedure for the early diagnosis of the fetal chromosomes diagnosis already by analyzing the cellular component at the 8th-9th week of gestations. Following this scientific success ha has is actually invited for Key Note Lecture in many important University and Centre of Excellence, like: Erasmus University, Rotterdam; Department of Clinical Genetics, Karolinska Institute, Stockolm, MRC Clinical and Population Cytogenetics Unit, Edimburgo; The Illinois Masonic Center, Chicago; Institute of Human Genetics, University of Essen and many others. He has also contributed to the organization of Natinal and International Meetings on Prenatal Diagnosis. From 1988 he is Professor of Human Genetics at the Medical Faculty at the University of Milano (Italy). From 1990 he is responsible for the Laboratory of Medical Genetics at the University of Milano (Italy). From 1990 to 1999 is President of the Luigi Villa Foundation, Centre of Molecular Pathology applied to Clinical Studies at the “Ospedale Maggiore” of Milano. 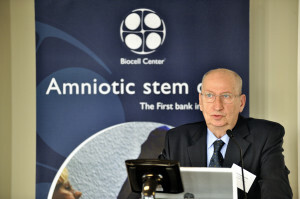 From 2002 he is Scientific Director of TOMA S.p.A. Advanced Biomedical Assays (www.tomalab.com) and of Biocell Center.